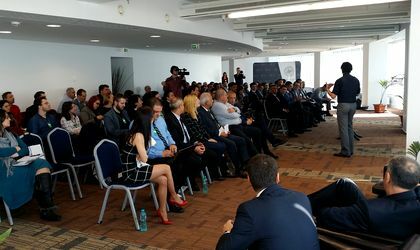 Different Angle, the first IT&C cluster in Bucharest has officially launched with the mission to promote innovation, education and development among SMEs in the Bucharest area. At the moment, there are more than 2,000 clusters in the European space, and over 60 clusters in Romania. “The cluster aims to promote transfer of know-how between the academic and the private environment, grow the number of software specialists in a market where the demand is very high, and creating collaboration opportunities between the cluster and the partners,” said Marius Hanganu, president of the Different Angle Cluster. The main activities of the cluster are centered on software solutions, via companies such as eSolutions Grup, Gemini Solutions, Greentree Applications, Power Net Consulting, Qualitance and Tremend as well as consultancy solutions, training and IT equipment via companies such as Lasper Human Development, RezolvIT, Evolva Trend Consultant and Econo-heat. From this association, the members of the cluster can benefit from various networking opportunities, partnerships to create innovative solutions, better international visibility for the country and region, and special access to the experts trained by the cluster and the know-how accumulated as part of the network of partners. The launch event focused on a topic that is not very much discussed in Romania, the Smart Cities, which is about the use of digital technology in a way that is adapted to the real needs of the inhabitants.